Unmanned Aerial Vehicles, or ‘drones’, are an increasingly common tool in the geosciences. In glaciology, they have now been used to study ice behaviour in regions as diverse as the Himalaya, Svalbard, and the Peruvian Andes. 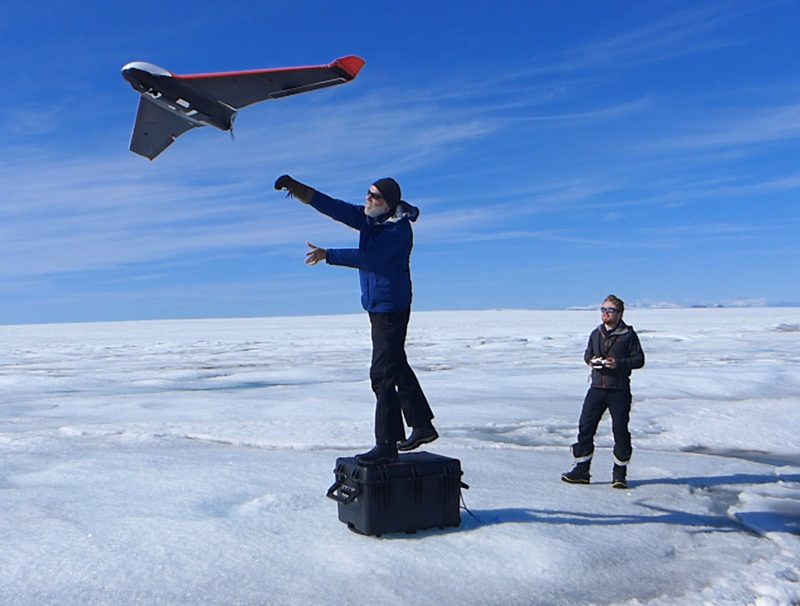 UAVs have also seen successful use in Greenland, and have contributed to new understandings of calving dynamics at the ice-sheet margins. In RESPONDER, we aim to use UAVs for the first time to assess the inland dynamics of an ice sheet. This has introduced new challenges and required updates to the standard method often used with these systems. For example, 30 km into the interior of the ice, there is no possibility of stable ground control, which is normally used to introduce the required level of accuracy into UAV surveys, as all the ice is constantly moving. Instead, we are utilising a new geolocation method known as Global Navigation Satellite System (GNSS) supported aerial triangulation, which uses GNSS constellations such as GPS to locate aerial photography to within millimetres, and provides a never-before-seen level of accuracy to UAV surveys. The lake before and after rapid drainage occurred, from the UAV surveys. 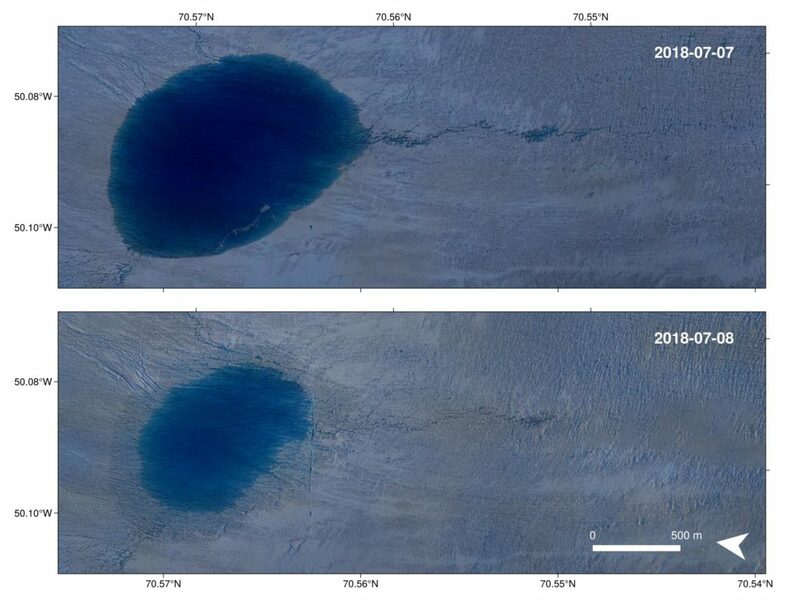 With these UAV surveys, we aim to assess the variation in ice flow at unprecedented spatial and temporal resolutions, revealing new insights into how Store Glacier moves over the summer and how it responds to seasonal forcing over time.